Denver Broncos seating chart for Sports Authority Field at Mile High in Denver, Colorado. The Sports Authority Field seating chart is used for every National Football League game played at home by the Denver Broncos. 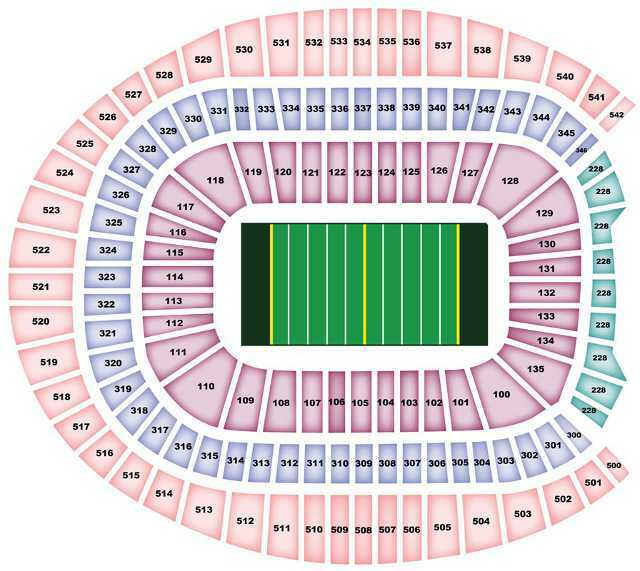 Look at the Broncos seating chart before purchasing any Denver Broncos tickets for the most up-to-date information on the seating areas available throughout Sports Authority Field. Also see more information about each of the different ticket options sold by the team: Broncos United Club, Broncos Field Level Prime, Broncos Field Level Between Goal Lines, Broncos Field Level Corner End Zone, Broncos Field / Plaza Level End Zone, Broncos Third Level North End Zone, Broncos Upper Level Sideline, Broncos Thunder, CO Corner End Zone, Broncos Upper Level North End Zone.